Well, I could’ve seen it coming, but it was a (beautiful) suprise: full moon! It’s right up there in the sky, big, round and white. So far, so obvious. What not everyone would associate with full moon, however, are werewolves. The thought pops into my head whenever I see the moon at it’s fullest. I’m not at all scared of werewolves, ghosts or dementors (we’re not in Hogwarts! ), but I still remember how I used to be after seeing Harry Potter 3 in the cinema. I was there with my dad, but that didn’t stop me from being so scared that we had to leave the cinema early. Of course I missed the happy ending that way, leaving me even more frightened. And that wasn’t all of it. For a few weeks I would look behind every door before entering a room to make sure there wasn’t anything hiding behind it. I knew it was completely irrational even then, but I still felt better after checking. Then came Ireland and the boarding house with a graveyard beside it. To get to the house, you had to cross the graveyard and then walk through a short passage surrounded by bushes. It was only about ten metres, but it was very dark and very scary. When I was alone, I would sometimes run to get past it more quickly, and when we were in a group, no one wanted to go last (everybody knows that the last one is always eaten by the monsters). Now, however, I’m over all of that. Living on my own for the past year has left me comfortable with being alone, even at night. That’s why I can enjoy the full moon’s beauty today with dry pants and a smile on my face, silently chuckling to myself about the silly fears of my childhood. And in case all the wise grown-ups are wrong and werewolves do exist, I don’t care. After all we’re in the 21st century, meaning werewolves are just muscular native Americans with a tendency to fall in love with their best friend’s newborns. (If that confuses you, go and watch Twilight) Not scary at all, right? 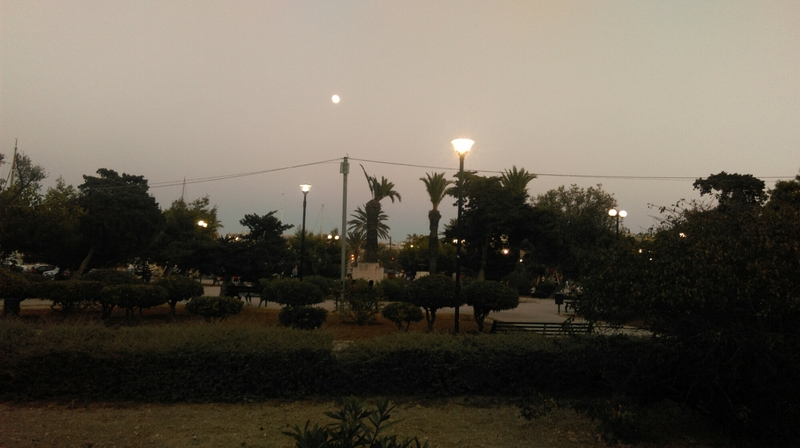 Posted on September 7, 2014 October 11, 2014 by Kerstin	This entry was posted in Personal and tagged full moon, Harry Potter, Malta, nature, photography, travel, travelling, Twilight, werewolf, werewolves. Bookmark the permalink. Haha! Not scary at all, but rather disturbing.